The seventh Mnemonics: Network for Memory Studies summer school will be hosted by the Flemish Memory Studies Network (a collaboration of the Cultural Memory Studies Initiative at Ghent University and KU Leuven’s Literary Studies Research Unit) from 22 to 24 August 2018 at the Irish College in Leuven. Confirmed keynote speakers are Rick Crownshaw (Goldsmiths, University of London), Andrew Hoskins (University of Glasgow), and Gabriele Schwab (UC Irvine). This year’s Mnemonics summer school addresses memory from an ecological perspective. The term “ecology” foregrounds the relationships between organisms and their environments; it emphasizes the interrelations between different agents rather than isolated elements. Mnemonics 2018 engages with the recent shift in the study of memory towards the multifarious interactions between media, platforms, cultures, and generations, but also between the domains of the human and the nonhuman. The notion of ecology is particularly pertinent for tracking two related trends. First, after the “connective turn,” there is the ever-increasing importance of digital media platforms for the construction of individual and group memories in what has been called our “new media ecology” (Hoskins). Changing the very nature of remembrance and forgetting, digital media have come to make up a crucial environment for remembrance whose different constituent elements demand to be studied ecologically, that is, in their relations to one another. Second, there is the growing urgency of environmental issues, as concern over climate change and planetary devastation has come to be voiced under the rubric of the Anthropocene. Questions about the role of memory in addressing environmental problems and in imagining the human impact on the chemical and climatological make-up of the planet bring memory in proximity to the geological and natural realms, just as the digital revolution entangles memory with technological developments that have come to occupy a prominent place in memory studies. “Ecologies of Memory” aims to explore the methodological, theoretical, and imaginative challenges posed by this expanding awareness of memory’s technological and natural environments. In disciplinary terms, we want to investigate what happens to the interdisciplinary field of memory studies as it forges new connections with technology, engineering, geology, and the life sciences, but also with artistic practitioners. In methodological terms, we want to consider how digital and artistic methods or innovative combinations of qualitative and quantitative approaches can contribute to the development of properly ecological perspectives on the functioning of memory in its new medial and environmental contexts. In theoretical terms, we are interested in creating and testing new vocabularies for grasping memory’s entanglement with technological, natural, and medial forces. As memory takes its place in ecologies that are not exclusively human, the very distinctions between the human and the nonhuman and between the organic and the nonorganic become less stable. What is memory studies’ relation to fields like the environmental humanities or the digital humanities in an enlarged ecology of memory? How can notions such as planetarity (Spivak), the Anthropocene (Crutzen and Stoermer), assemblages (Deleuze and Guattari), actor-network (Latour), and trans-corporeality (Alaimo) help memory studies develop a properly ecological perspective? To what extent can different strategies of remembrance help us imagine the impact of human action on the chemical and climatological make-up of the planet? How do we reconceive of the scales and temporalities of memory as digital technology destabilizes the past-present distinction or as the notion of the Anthropocene invites us to think of human life on vast spatio-temporal scales? Do digital memory ecologies affect the transnational circulation of memory, and to what extent do they enable new affective alliances and new forms of activism? What happens to the notion of forgetting when the total memory of the digital makes it virtually impossible for the past to disappear and when human action leaves an indelible trace on the planet? How does memory’s imbrication with digital culture and the other-than-human world affect the objects of memory? What are the methodological challenges posed by the increasing digitization of memory? What concepts can help us make sense of memory practices that are distributed between digital platforms and human agents? Can we understand the prosumers of digital memory as ecological agents? What are the ethical and aesthetic challenges of outsourcing memory functions to prosthetic digital infrastructures? In what ways do digital media memorialize older media? Can media archaeology contribute to an ecological imagining of memory? What role can memory play in the imagining of the environmental impact of digital culture? How do digitally mediated memories differ from analogue-based ones? Rick Crownshaw is a Senior Lecturer in the Department of English and Comparative Literature at Goldsmiths, University of London. He is the author of The Afterlife of Holocaust Memory in Contemporary Literature and Culture (Palgrave Macmillan, 2010), as well as numerous articles on American literature, memory studies, and trauma studies. He is the editor of Transcultural Memory (Routledge, 2014) and a co-editor of The Future of Memory (Berghahn, 2010). He is currently finishing a monograph, Remembering the Anthropocene in Contemporary American Fiction, which focuses on, among other things, the potential of cultural memory and trauma studies in analysing literary narratives of climate change, extinction, pollution and toxicity, the resourcing of war, American petrocultures, and post-oil worlds. He is a co-editor, with Stef Craps, of a forthcoming special issue of Studies in the Novel on climate change fiction. His next project is tentatively titled Filming the Anthropocene. 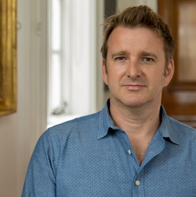 Andrew Hoskins is Interdisciplinary Research Professor in the College of Social Sciences at the University of Glasgow. His research connects multiple aspects of emergent digital society: media, memory, conflict, risk, security, and privacy. 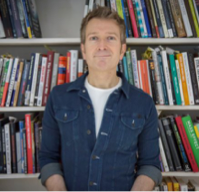 His latest books are Digital Memory Studies: Media Pasts in Transition (as editor; Routledge, 2017) and Risk and Hyperconnectivity: Media and Memories of Neoliberalism (with John Tulloch; OUP, 2016). Recently completed books include Broken Media: The Post-Trust Crisis of the Mainstream (with Catherine Happer; Palgrave Macmillan, forthcoming 2018) and Trump’s Media War (as co-editor, with Catherine Happer and William Merrin; forthcoming 2018). Hoskins is founding editor-in-chief of the Sage journal Memory Studies and a founding co-editor of the Palgrave Macmillan book series Memory Studies. His current research is for a book entitled Memory in the Head and in the Wild (with Amanda Barnier; OUP), exploring the challenges of interdisciplinarity in memory studies. 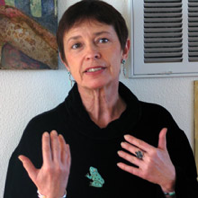 Gabriele M. Schwab is Chancellor’s Professor at the University of California, Irvine. She holds appointments in the departments of Comparative Literature, Anthropology, English, and European Languages and Studies. She received her PhD in literary studies and critical theory at the University of Constance and a PhD in psychoanalysis from the New Center for Psychoanalysis in Los Angeles. She is the recipient of a Guggenheim Fellowship and a Heisenberg Fellowship, and her research interests range across critical theory, psychoanalysis, trauma studies, literature and anthropology, and 20th- and 21st-century comparative literatures. Her monographs in English include Subjects without Selves: Transitional Texts in Modern Fiction (Harvard UP, 1994); The Mirror and the Killer-Queen: Otherness in Literary Language (Indiana UP, 1996); Haunting Legacies: Violent Histories and Transgenerational Trauma (Columbia UP, 2010); and Imaginary Ethnographies: Literature, Subjectivity, Culture (Columbia UP, 2012). Currently she is working on a book on nuclear necropolitics titled Radioactive Ghosts. The Mnemonics summer school serves as an interactive forum in which junior and senior memory scholars meet in an informal and convivial setting to discuss each other’s work and to reflect on new developments in the field of memory studies. The objective is to help doctoral students refine their research questions, strengthen the methodological and theoretical underpinnings of their projects, and gain further insight into current trends in memory scholarship. Each of the three days of the summer school will start with a keynote lecture, followed by sessions consisting of three papers by doctoral students, responses, and extensive Q&A. Participants are expected to be in attendance for the full three days of the summer school. In order to foster incisive and targeted feedback, all accepted papers will be pre-circulated among the participants and each paper session will be chaired by a senior scholar who will also act as respondent. Local organizers: Mnemonics 2018 will be hosted by the Flemish Memory Studies Network (a collaboration of the Cultural Memory Studies Initiative at Ghent University and KU Leuven’s Literary Studies Research Unit). The organizers are Stef Craps, associate professor of English literature at Ghent University; Silvana Mandolessi, assistant professor of cultural studies at KU Leuven; Pieter Vermeulen, assistant professor of American and comparative literature at KU Leuven; and their PhD students Tom Chadwick (KU Leuven), Lene Guercke (KU Leuven), and River Ramuglia (UGent). Where: Mnemonics 2018 will take place in Leuven’s historic Irish College, a magnificent residential conference facility in the city centre. Leuven is easily accessible by road, rail (with international trains arriving at Brussels-South Railway Station, which is a 25-minute train ride away), and air (Brussels airport [BRU] is just 15 minutes away by train). Costs: €200. The fee includes tuition, three nights shared accommodation at the Irish College, breakfast, lunches, coffee breaks, one dinner, and one reception. Travel to Leuven is not covered, and prospective attendees are encouraged to check travel costs in advance. For those who want to upgrade from a twin room to a single room (subject to availability), the fee is €290. For those who do not require overnight accommodation, the fee is €100. Scholarship: Memory studies is an increasingly global field, and we hope to see this reflected in the composition of the participant group. We therefore encourage doctoral students based at non-European institutions, particularly in the Global South, to apply for admission to the summer school. In order to facilitate their participation, the Flemish Memory Studies Network offers one scholarship for a fully-funded place at the summer school. Awarded on the basis of both merit and need, it covers all travel expenses, accommodation costs, a daily allowance, tuition, and visa assistance. If you want to be considered for this scholarship, please indicate this in your application, include a budget estimate, and disclose any other sources of funding. Submission: Submission is open to all doctoral students interested in memory studies. About half of the 24 available places are reserved for students affiliated with Mnemonics partner institutions. Questions? Write to mnemonics2018 [at] gmail [dot] com. Bond, Lucy, Ben De Bruyn, and Jessica Rapson, eds. Planetary Memory in Contemporary American Fiction. Spec. issue of Textual Practice 31.5 (2017). Craps, Stef, Rick Crownshaw, Jennifer Wenzel, Rosanne Kennedy, Claire Colebrook, and Vin Nardizzi. “Memory Studies and the Anthropocene: A Roundtable.” Memory Studies 11.4 (2018), forthcoming in print; published online on 10 Oct. 2017 <https://doi.org/10.1177/1750698017731068>. Crownshaw, Richard. “Cultural Memory Studies in the Epoch of the Anthropocene.” Memory Unbound: Tracing the Dynamics of Memory Studies. Ed. Lucy Bond, Stef Craps, and Pieter Vermeulen. New York: Berghahn, 2017. 242–57. Donn, Katharina. A Poetics of Trauma after 9/11: Representing Trauma in a Digitized Present. New York: Routledge, 2017. Garde-Hansen, Joanne, Andrew Hoskins, and Anna Reading, eds. Save as… Digital Memories. Basingstoke: Palgrave Macmillan, 2009. Heise, Ursula. “Unnatural Ecologies: The Metaphor of the Environment in Media Theory.” Configurations 10.1 (2002): 149–68. Hoskins, Andrew, ed. Digital Memory Studies: Media Pasts in Transition. New York: Routledge, 2017. Neiger, Motti, Oren Meyers, and Eyal Zandberg, eds. On Media Memory: Collective Memory in a New Media Age. Basingstoke: Palgrave Macmillan, 2011. Parikka, Jussi. A Geology of Media. Minneapolis: U of Minnesota P, 2015. Schwab, Gabriele. “Haunting from the Future: Psychic Life in the Wake of Nuclear Necropolitics.” The Undecidable Unconscious: A Journal of Deconstruction and Psychoanalysis 1.1 (2014): 85–101.